The SEC is in the process of replacing its current, paperless statewide voting system with a new voting system solution that features a paper record of each voter’s voted ballot. On this page, you will find news, information and informative links related to the replacement effort. 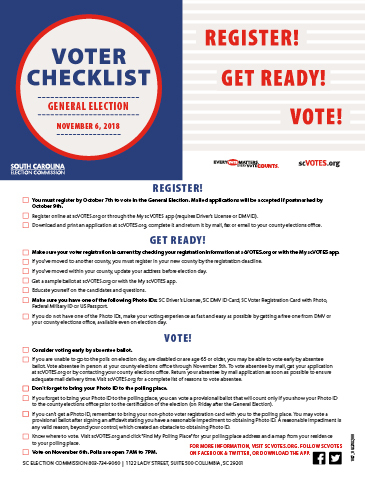 The mission of the S.C. State Election Commission (SEC) is to ensure every eligible citizen has the opportunity to register to vote, participate in fair and impartial elections, and have the assurance that their votes will count. 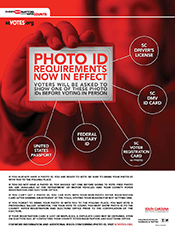 Fundamental to this mission is ensuring the security and integrity of elections in South Carolina. Elections face numerous threats from a wide variety of actors including nation states, individuals and organizations – all with various motives. We recognize these threats, and we want voters to know we have made it our top priority to take all reasonable measures to improve and protect the security and resilience of our state’s election infrastructure. To address these threats against critical infrastructure, the SEC has developed an unprecedented security partnership of state, federal and private cybersecurity professionals as well as state and federal law enforcement and intelligence agencies. 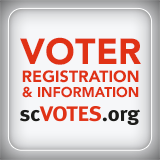 COLUMBIA, SC (December 27, 2018) – Beginning January 1, the South Carolina State Election Commission (SEC) will be celebrating 50 years of ensuring every eligible citizen has the opportunity to register to vote, participate in fair and impartial elections, and have the assurance that their votes will count. That commitment began on January 1, 1969, when the SEC was formed by the General Assembly as an independent state agency charged with overseeing South Carolina’s elections. Governor Henry McMaster has proclaimed 2019 as S.C. State Election Commission 50th Anniversary Year throughout the state. 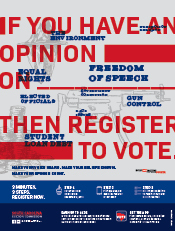 He is encouraging all South Carolinians to celebrate the State Election Commission’s 50 years of ensuring eligible citizens have the opportunity to register to vote, the opportunity to participate in fair and impartial elections, and the assurance that their votes will count. 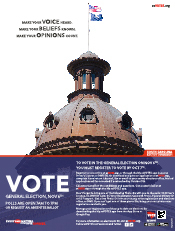 COLUMBIA, SC (December 7, 2018) - The State Election Commission (SEC) in conjunction with the State Fiscal Accountability Authority (SFAA) today released a Request for Proposals (RFP) for South Carolina’s next statewide voting system. The SEC is seeking a uniform, statewide voting system solution that features a paper record of each voter’s voted ballot to replace the current paperless system. The SEC expects to implement the new system by January 2020. 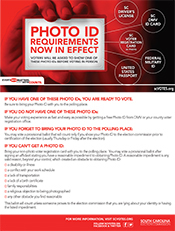 A new voting system will not only provide the state with a dependable system that will serve voters for years to come but will also improve the security and resilience of our election process. Having a paper record of each voter’s voted ballot will add an important layer of security as it allows for post-election audits of ballots to verify vote totals. The SEC is issuing the RFP now to allow adequate time for evaluation of voting system proposals and subsequent implementation by January 2020. The SEC continues working with the S.C. General Assembly to acquire funding for this replacement effort.